Let the challenge begin! The contender Amerisleep is looking to take down the king of memory foams, Tempurpedic. Both Amerisleep and Tempurpedic are regarded as ultra-luxury high-density memory foam mattresses, designed to hug and contour sleepers into blissful sleep. But there can only be one winner! 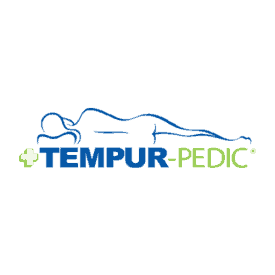 Is Tempurpedic still at the top of the charts, or does Amerisleep have what it takes to knock them off? Continue reading below to find out! Don’t have time to read the full comparison? Click here to skip down to the review summary. Enjoy $250 off your purchase with our exclusive discount! The Amerisleep AS3 mattress is a 12-inch, all-foam mattress built from three separate layers. Top layer (cooling and comfort): 3 inches of memory foam. This layer is designed to provide the comfort, cooling, and pressure relief for the sleeper. Amerisleep’s Bio-Pur technology helps pull heat away from the sleeper, working to maintain a cooler sleeping surface. Middle layer (support and pressure relief): 2 inches of transition poly foam. 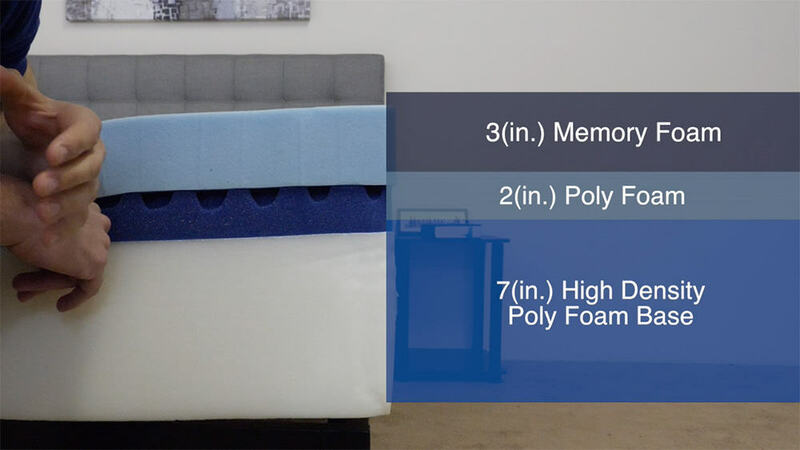 Placed below the memory foam top layer, the second layer acts as the support for the sleeper as well as the transitional layer between the top and bottom layers of foam. Bottom layer (foundational support): 7 inches of poly support foam. The bottom layer acts as the deep compression support for the sleeper and the foundational support for the mattress. The cover of the Amerisleep AS3 mattress contains a blend of Celliant (21%), spandex (2%), and polyester (77%). The use of Celliant is quite interesting. Celliant is made from thermoreactive minerals, which work to transform your body heat into infrared light. Both Celliant and infrared light have been tested and clinically proven to help increase bodily blood flow, which allows your body to carry more oxygen. Improved oxygenation throughout your body leads to a reduction of pain, better temperature regulation, and improved sleep overall. Additionally, the use of spandex and polyester adds degrees of breathability and elasticity to the cover. Aesthetically speaking, the AS3’s cover is nice. Although a majority of the cover is white, the tan wavy pattern running along the top and sides adds a bit of flair to the cover as a whole. This combination makes for a simple yet sophisticated look. The Amerisleep AS3 mattress comes in at a true medium, 5 out of 10 on the firmness scale (10 being the most firm). By going with the perfect medium feel, Amerisleep intended to meet the needs of most sleepers. Upon initial contact with the AS3, I noticed the pronounced hug and sinkage, resulting in great pressure relief. More often than not, the deeper sinkage and hug translates into somewhat of a stuck feeling. 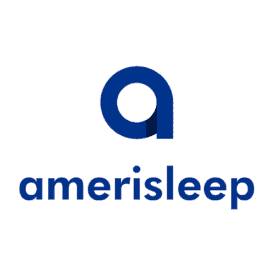 Amerisleep did a great job of steering away from that by creating a mattress with solid support and above-average response times. Although the mattress was able to provide pressure relief, keep in mind that sinkage depths will vary depending on body weight and type. At 140 pounds, I was seeing about 3 inches of sinkage at the heaviest parts of my body. Heavier sleepers will certainly see more sinkage, but I would expect the same level of support due to the thicker comfort layers. The mattress does a nice job of incrementally pushing back and supporting the sleeper. This can serve as a nice benefit for those sleepers who enjoy that deeper level of sinkage and hug but do not want to feel trapped or enveloped by the foams. The overall level of support with this mattress was also impressive. I will say that I found the mattress to be a touch too soft while sleeping on my stomach. Yet sleeping on my side was great. The ability of this mattress to contour to your every curve and provide consistent spinal alignment results in ideal support. My wife sleeps primarily on her back and also found that she was more comfortable on her side. She said she could sleep on her back but felt as if she was sinking in slightly too much. All in all, side sleepers will more than likely benefit most from the AS3. Back sleepers who enjoy the medium feel and more sinkage could also find this mattress enjoyable, but I would recommend stomach sleepers look into either the Amerisleep AS1 or Amerisleep AS2 mattress. Next up, let’s talk about cooling. 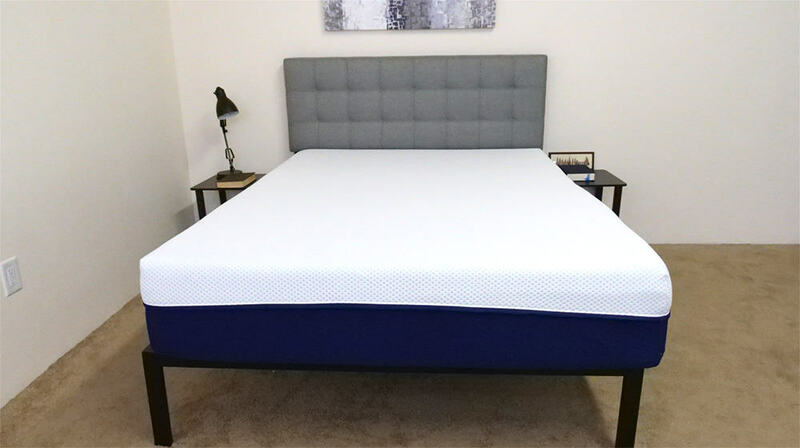 The thin cover, polyester/spandex blend, and plant-based foams made for a cool and comfortable sleeping surface, especially for a memory foam mattress. It’s not the most cool mattress I’ve ever tested, by virtue of the level of sinkage and memory foam design, but it still does a good job of keeping sleepers cool. If you have average cooling needs, the AS3 should suit you well. When it comes to bounce, the Amerisleep AS3 is about what you’d expect. The softer all-memory-foam design means virtually no motion transfer, but it also means less bounce. This makes amorous activities a little more difficult, but the reduced motion transfer makes sleeping with your partner afterward more enjoyable. Read the full Amerisleep Mattress Reviews series for more. Layers of memory foam and coils come together to make this hybrid mattress great for combo sleepers! 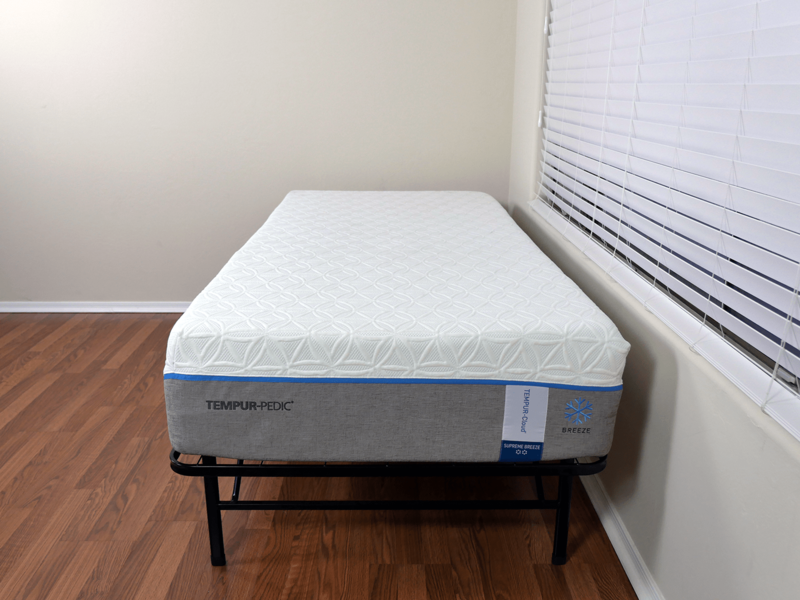 The Tempurpedic Cloud Supreme Breeze is an all-foam mattress made from four layers of foam with a total height of 11.5 inches. Top layer (comfort): 2 inches of viscoelastic memory foam. This layer offers the initial soft feeling for the sleeper in addition to the contour and hug that Tempurpedics are known for. Second layer (comfort and support): 2 inches of viscoelastic memory foam. Similar to the top layer, this layer works to provide comfort and support for the sleeper. That said, this layer is a touch firmer than the top layer. This helps to create a smoother transition into the bottom two layers. Third layer (support): 4 inches of polyurethane foam. The third layer works mainly as the transitional layer from the above comfort foams and more supportive, foundational layers. Bottom layer (support and foundation): 3.5 inches of polyurethane foam. As a dense layer of foam, the bottom layer acts as the deep compression support in addition to the base for the mattress. The cover of the Tempurpedic Cloud Supreme Breeze is also quite nice. Constructed from polyester (94%) and spandex (6%), the cover is able to breathe well, provide a soft-to-the-touch feeling, and maintain its shape due to the stretchy composition. After yanking the cover around from several different angles, I saw that it was able to easily snap back into shape. 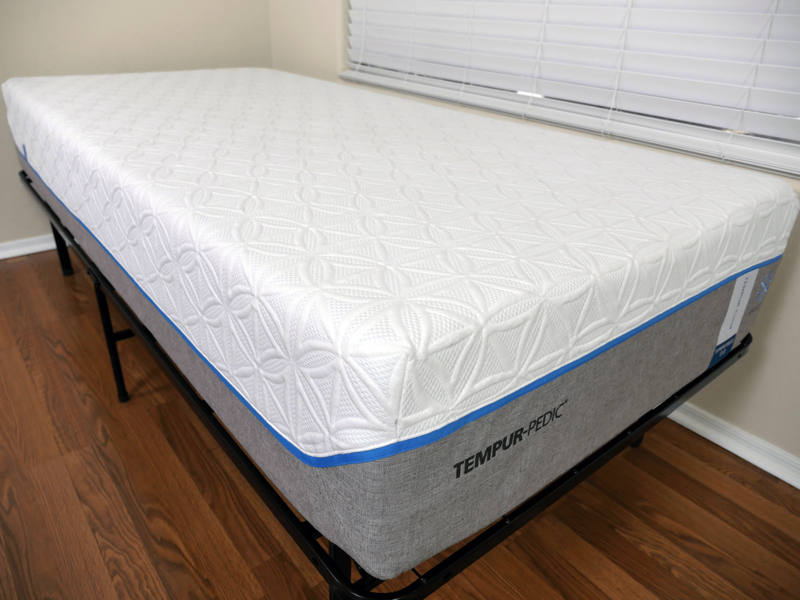 Similar to the AS3, the Cloud Supreme Breeze has a thin cover, allowing for improved airflow in and out of the mattress. As far as the design of the cover goes, I would say it sits among the upper half of mattress companies today. The diamond pattern, all-white color scheme, blue piping, and gray lining all come together to give the mattress a sleek look. The Tempurpedic Cloud Supreme Breeze mattress also lands at a medium, 5 out of 10 on the firmness scale, where 10 is the most firm. As I first lay down on the Cloud Supreme Breeze, I felt as if the mattress absorbed my weight and slowly began to increase in sinkage depth. Right away, I noticed about 2 inches of sinkage. Yet after about 20 seconds of lying on the mattress, I had sunk in about another inch, bringing me to a total of 3 inches of sinkage. While some may enjoy this type of sinkage, others may feel as if they are stuck or trapped by the foams. The Cloud Supreme Breeze has that traditional memory foam feel, including deeper sinkage and slower response times. Therefore, you’ll want to be sure you’re a fan of this classic memory foam feel before purchasing this mattress. FAQ: How do I choose a mattress? That said, Tempurpedic does a good job of creating a balanced mix of sinkage. In other words, not just the heavier, more prominent parts of my body experienced the sinkage. My head and lighter limbs were also receiving a degree of sinkage, which is a big part of why this mattress is able to provide a high level of pressure relief and even spinal alignment. Extremely similar to the Amerisleep AS3 mattress, the Cloud Supreme Breeze felt slightly too soft while sleeping on my stomach. Personally, it seemed as if my hips were sinking a bit too much, creating somewhat of an uncomfortable angle around my lower back. As I rolled over to my side and back, I had no issues. Both positions felt equally supported and comfortable. When I first lay on the Tempurpedic mattress, there was a cool-to-the-touch feel. I believe this is due to phase-change materials within the cover, but this is just speculation. Tempurpedic is very secretive about what’s in their mattress. In any case, after a few minutes, that cool feeling gives way to a standard body temperature. During my sleep test, I did not feel warm on the Tempurpedic, and as far as memory foam cooling goes, it was quite good. However, as with the Amerisleep, it’s still a memory foam mattress. If you have average cooling needs, the Cloud Supreme Breeze can accommodate you, but very warm sleepers may still find the combination of sinkage and memory foam construction to be too warm. Next up, motion transfer and bounce. Also as with the Amerisleep AS3, the Tempurpedic excels by minimizing motion transfer, but this also results in reduced bounce. Amerisleep Mattress vs. Tempurpedic: Which Should I Buy? 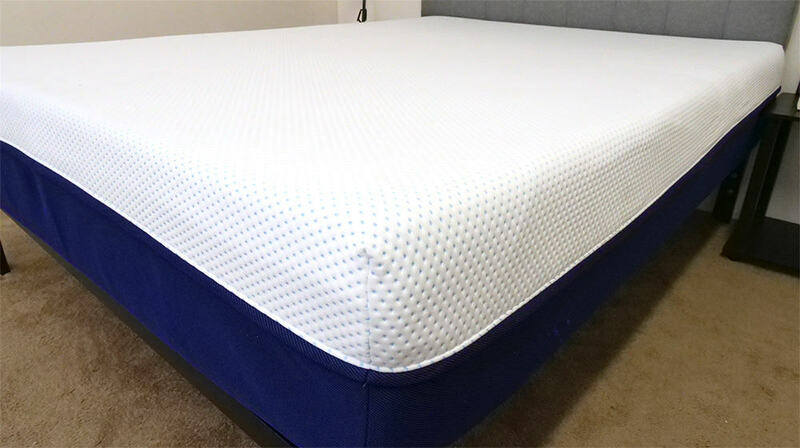 Both the AS3 and Cloud Supreme Breeze mattress are top-quality, very well-made, and among some of the very best mattresses available today. While both mattresses offer a similar level of exceptional performance, the Amerisleep mattress simply offers a much better price and service package. If we look at the performance and functionality of these mattresses, there are minimal differences. Both are extremely well-built, use quality high-density memory foams, and employ advanced materials within the cover and elsewhere. If we disregard price and service options, this would be a draw. However, for this comparison, we aren’t disregarding those factors. The AS3 is $2,200 less expensive, offers a full money-back refund policy, and has a true trial period of 100 days. For these reasons, in combination with its excellent performance, I found the Amerisleep AS3 is the better choice and is the winner of this mattress battle. Want a medium feel: The AS3 comes in at a perfect medium, 5 out of 10 on the firmness scale. 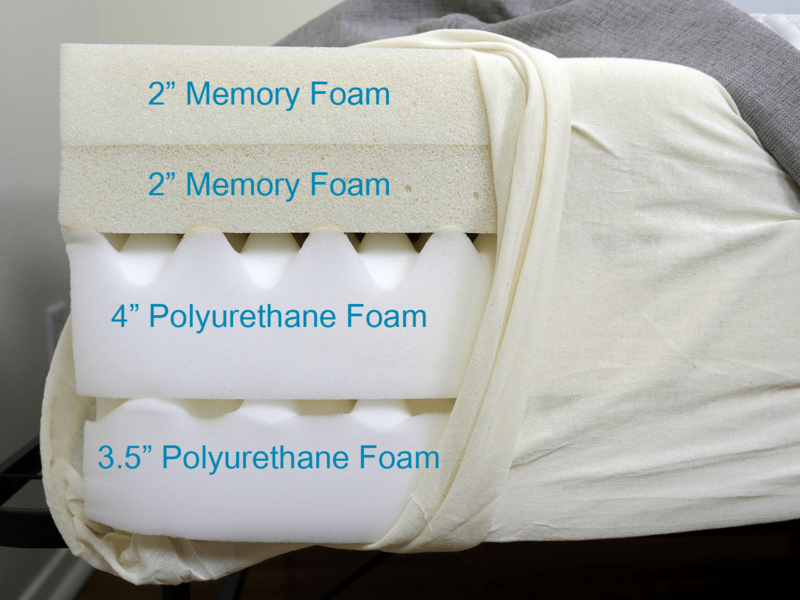 Want memory foam: The AS3 uses a classic high-density memory foam construction. This results in a slower response time, deeper/more pronounced sinkage and hug, less motion transfer, and less bounce. Want pronounced contour: The memory foam design wraps around the unique shape and curves of sleepers. I wouldn’t describe the feel as overly enveloping, but it does attempt to wrap around your shape. For many, this results in great pressure relief and feel, but some don’t like the feel of contouring memory foam. Want an amazing value: A price tag of $1,299 is a ridiculously good value for the material quality and performance of this mattress. Want a medium feel: The Cloud Supreme Breeze is a perfect medium, 5 out of 10 firmness. 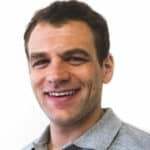 Want memory foam: The high-density memory foam design results in a slower response time, pronounced hug/sinkage, less bounce, and virtually no motion transfer. Want pronounced contour: Memory foams are designed to allows sleepers to sink into the foams and contour to your unique shape. This will create amazing pressure relief but can leave some feeling stuck or overly enveloped. Be sure you like the feel of contouring memory foam. Think money is no object: My biggest concern with the Tempurpedic is that it’s three times the price of the AS3. If money is no object, my reservations won’t matter as much.